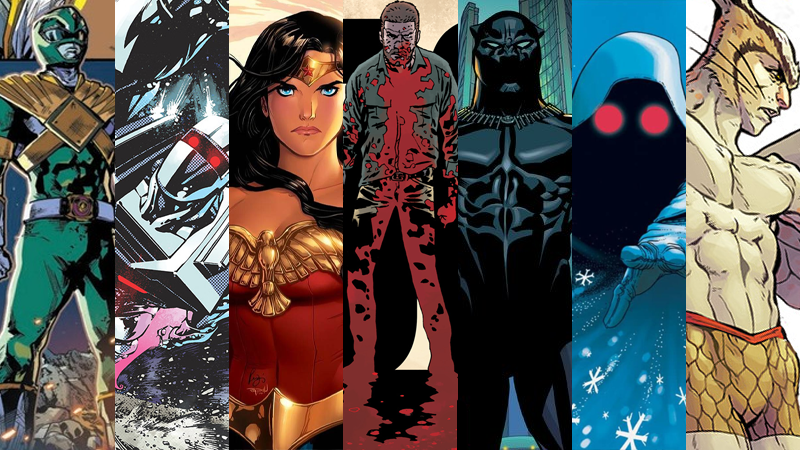 2015 was a great year for comic books, and 2016 is shaping up to be just as exciting—and financially ruinous. Seriously, take a deep breath, look longingly at your wallet, and get ready to write up your pull list of some of 2016's coolest sounding comics. Tomb Raider #1 (Dark Horse)—Lara Croft’s adventures continue, in this comic that takes place after the events of her latest game, from Eisner Award winning writer Mariko Tamaki. Wynonna Earp (IDW)—The US Marshals Black Badge division has been fighting back against supernatural threats for decades. But even the supernatural knows there’s one agent to avoid at all cost: Wynonna Earp! Did you know that there’s a whole nine months of 2016 beyond March? Comics sure as hell do! We don’t know when some of these comics are exactly coming out, but they’re ones to watch out for. April sees Wonder Woman’s origins explored in the latest entry in the seminal Earth One series Wonder Woman: Earth One, while Dark Horse revives the classic Alien comic for its 30th anniversary, with a complete collection. IDW is bringing back not just Micronauts, but Rom the Space Knight for their own standalone series, guaranteeing some serious nostalgia. Although we don’t know any plans for sure, Marvel’s Star Wars comics could become a potent force for the second year in a row, now that there’s the potential to explore more of what happened between Return of the Jedi and The Force Awakens. Also in April, comics icon Grant Morrison takes over Heavy Metal with Heavy Metal #280, leading a radical overhaul of the magazine that could make it home to some of the most fascinating creator-owned stories of the year. Mark Millar is teaming up with Stuart Immonen for Empress, a new science fiction series that promises to be as gorgeous as it is grand. Two of our most anticipated comics, however, come from writers who are delving into the world of comics for the first time: Margaret Atwood has teamed up with Dark Horse to pen Angel Catbird, a zany take on superheroics with a part cat, part bird, part human hero. And Ta-Nehisi Coates, one of the most seminal cultural writers of the modern age, turns his hand to the Marvel universe with Brian Stelfreeze to write Black Panther, in the year T’Challa celebrates both his 50th anniversary and his cinematic debut in Captain America: Civil War. These days, comic books are all about big event series, and there’s plenty coming in the year. Marvel promises major deaths and shocking revelations in Civil War II. Valiant, meanwhile, offers time-travel shenanigans, as cybernetic hero Rai finds himself at the core of the company’s 4001 event. And DC is teasing a major event from Batman team Scott Snyder and Greg Capullo. No matter what kind of comics you read, 2016 is shaping up to be a pretty awesome year.